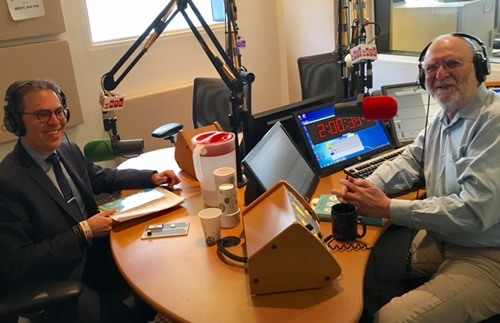 Dr. Bassett on NPR’s “Please explain” with Leonard Lopate – Spring is Coming. So Are Allergies. ‘Tis the season for sniffles. Millions of Americans suffer from allergies, seasonal and otherwise. For this week’s Please Explain, Dr. Clifford Bassett, the founder and medical director of Allergy and Asthma Care of New York, joins us to explain what an allergy is (and isn’t), identify key triggers – from nuts to gluten to the nickel commonly used in cell phones – and offer both medical and nonmedical alternatives to treatment. By admin|March 20th, 2017|Allergy Tips, Asthma News, Outdoor Allergies, The Leonard Lopate Show|Comments Off on Dr. Bassett on NPR’s “Please explain” with Leonard Lopate – Spring is Coming. So Are Allergies.